This hand tied cascade bridal bouquet is tied with gold, blush and lace ribbons. 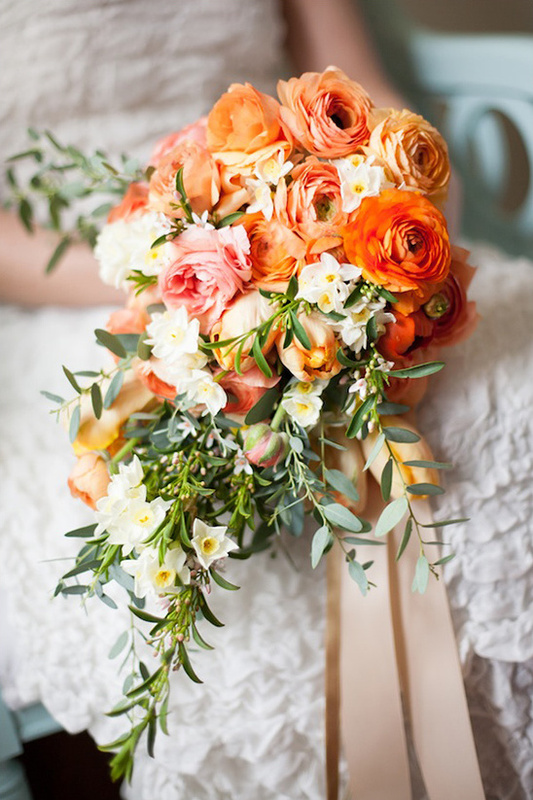 Stems of ranunculus in shades of orange, peach, coral and pink, orange and green parrot tulips, narcissus (which not only look pretty but also smell amazing), and sprigs of citrus blossom and eucalyptus were used to make this pretty bouquet. The colors are perfect for a spring or summer wedding and the cascade style and fluffy ranunculus make the bouquet pretty and feminine. All designed beautifully by Event and floral stylist Finch & Thistle Event Design, who also happens to be part of our Hand-Picked collection. To see more of her lovely work click here. The pretty pictures were photographed by Stephanie Cristalli. 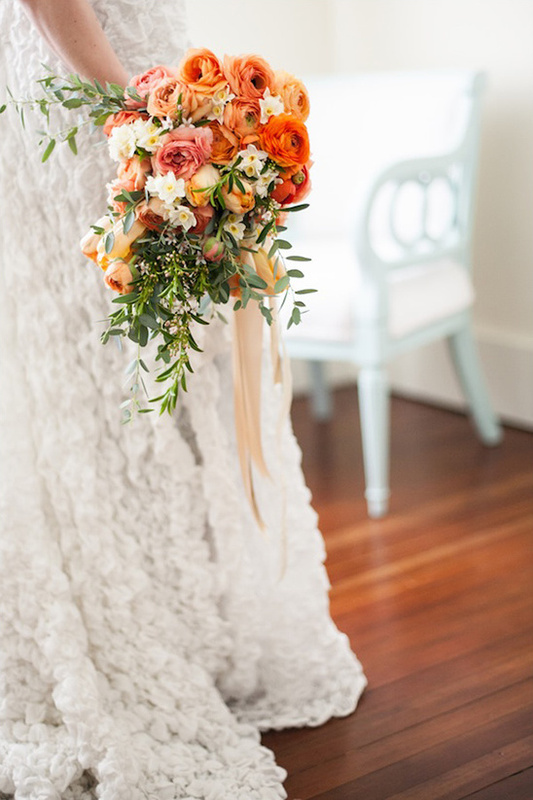 See more wedding bouquets here.